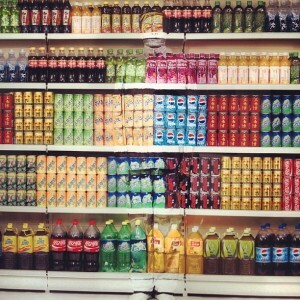 Liu Bolin poses in front of supermarket drinks. The Eli Klein Fine Arts Gallery in Times Square has long represented Bolin and his work, in an effort to propel him, and other Chinese artists, to the forefront of modern art on a global scale. 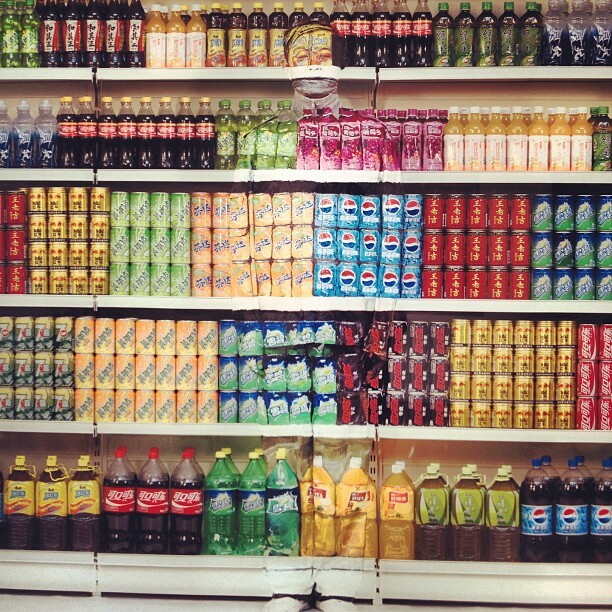 Liu Bolin’s most recent project, hosted at Eli Klein, is not only done in his normal hiding-in-plain-sight-style, but is also quite political. In a live painting work titled, “Gun Rack,” the artist poses in front of an enormous rack of real guns in the gallery, while he is painted to blend into them. In this live piece, he slowly transforms from a very clear figure of a man into the gun rack itself. The paint that is applied to him makes Bolin blend seamlessly into his environment, which allows his audience to then interpret the piece in a variety of ways. Reportedly, Bolin’s “Gun Rack,” was a project motivated by a new law in China that requires people to provide identification and registration when purchasing select knives. An artist who spends a significant amount of time in both China and the United States would arguably be knowledgeable of the controversial and ongoing debates about gun laws in America. This suggests that his newest installation is certainly making some sort of political commentary. 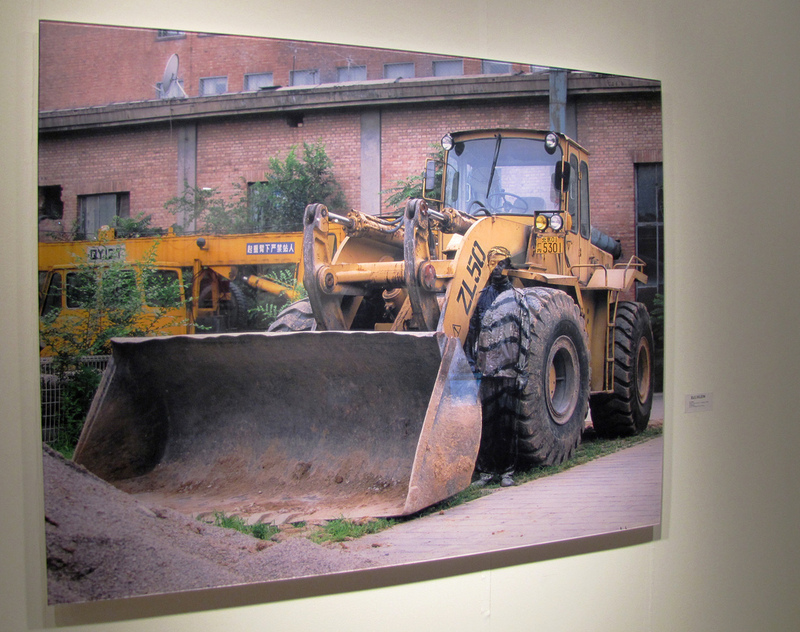 From June 6th through the 21st, a larger exhibition of Liu Bolin’s work, titled Mask, will be on display at the Eli Klein Fine Arts Gallery. Visit Designboom’s gallery of “Gun Rack” images to see Bolin’s newest project. 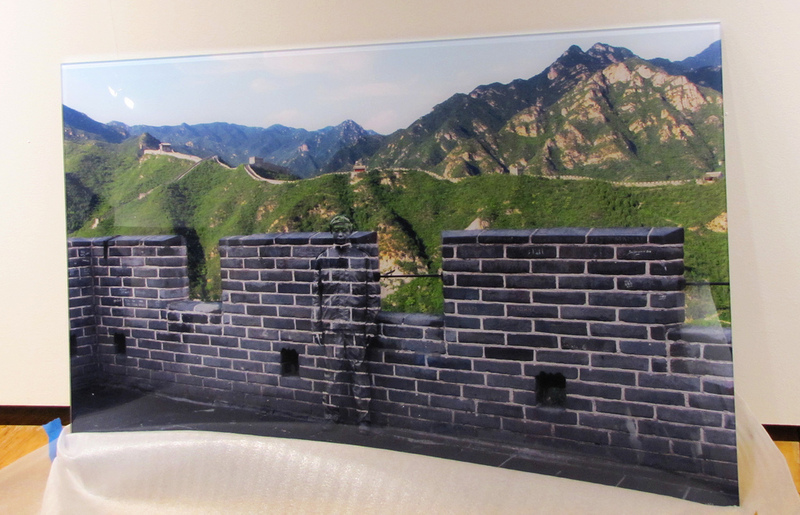 Liu Bolin atop the Great Wall.